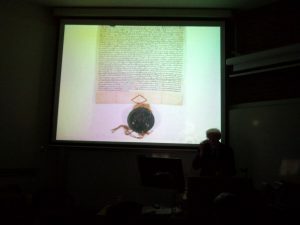 Henry III seal – on The Charter of the Forest. 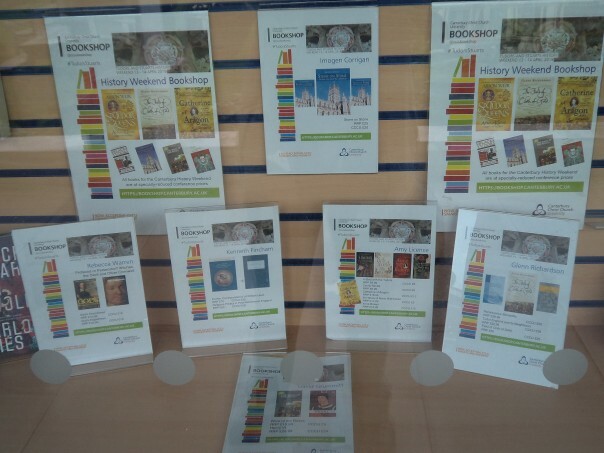 Keeping with the idea of studying an aspect of the county’s history and heritage, I have been asked to mention a day school organised by Christ Church later in November that with be led by Dr Gillian Draper. This will take place on Saturday 25 November, 10.30am to 4.30pm, where she will be discussing recent investigations and discoveries that have been made at Knole since 2006 to help participants plan their own visit to the house and grounds. As many of you will know, Knole is a Grade I listed historic house in Kent which is part-owned by the National Trust and has been open to the public for many years. The house is surrounded by a 1000-acre deer park with medieval origins. The ground-floor rooms open up its origins as an archbishop’s palace, and the stunning staircases and galleries reveal its transformation in the sixteenth century. 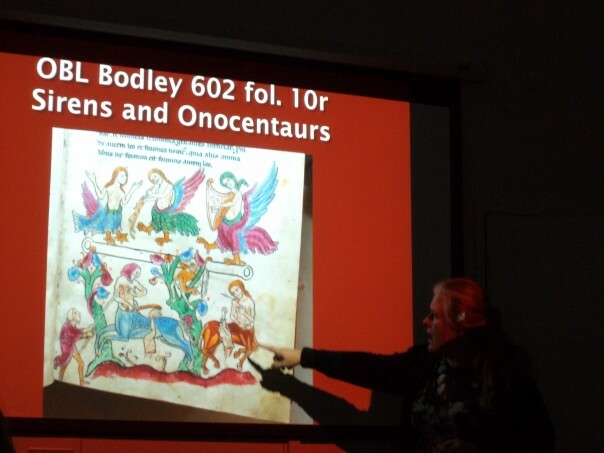 Gillian Draper has carried out historical investigations for archaeological units and Historic England for many years, and is a member of the Knole research group and a new showroom guide. If this sounds interesting, please contact: education.communityarts@canterbury.ac.uk or phone 01227 863451. Map showing the extent of the area under forest law in John’s reign. 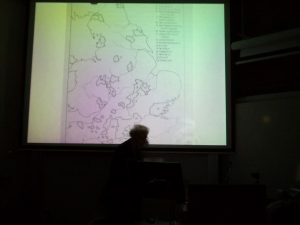 To return to Professor Carpenter’s lecture on the Charter of the Forest, as he explained forest law in the late 12th and early 13th centuries covered a large part of England, that is it was not just the king’s manors but extended to about a third of the country. For example, this included large areas of Yorkshire, Nottinghamshire, Derbyshire and Hampshire, as well as the whole of Essex, albeit nothing in Kent. David Carpenter was asked about Kent’s position afterwards and he suggested this may have been due to conditions pre-Conquest. This seems feasible, and perhaps may relate to the ancient manorial system found in much of Kent where manors did not comprise a single block of land, rather the manorial lands were in a number of parcels often in several parishes. Among these parcels there was often waste or woodland, sometimes within a short distance of the manorial centre, but for some manors a considerable distance away. Such woodland or waste was an important source of pannage – the winter pasturing of pigs predominantly on acorns or beech nuts. Thus, for example, the men of Thanet had rights to pannage in the Kentish Weald at Tenterden, which necessitated a system of transhumance that took the pig herders right across the county from the isle of Thanet to their den in the Weald. With such a fragmented and complex system in place regarding the exploitation of forests such as the Weald and the Blean, it is probably not surprising the king’s forest was not a feature in Kent. 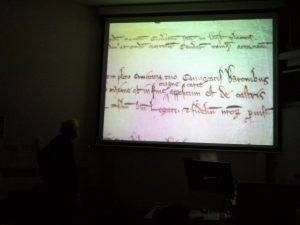 David Carpenter discusses the 1217 Charter of the Forest. Nevertheless, for those regions where it did apply the consequences were serious because within the area the hunting of venison and wild boar was forbidden, very little if anything was allowed in terms of felling trees, new mills and enclosures were not allowed and the grubbing up of trees to for new arable land – assarting, was not permitted. Those found contravening this host of regulations were brought before the king’s forest justices by an army of forest officials, which meant all in all it was extremely lucrative for the crown because the level of fines imposed was at the king’s discretion. John, in particular, exploited this position ruthlessly. However, his father had been in many ways equally ruthless, and he, in the company of his senior forest official, had greatly extended the acreage under forest law during his long reign. Thus was set the collision course between John and the barons, the latter in 1215 wanting the removal of all the land Henry II had added to the royal forest. Hardly surprisingly, John was not keen on this idea as you can imagine and so the struggle continued after Runnymede. The next two years brought papal intervention, further baronial war, the deposition of John as king, the intervention of Louis of France, the battles of Lincoln and Sandwich, and John’s death, thereby bringing to the throne the young Henry III. 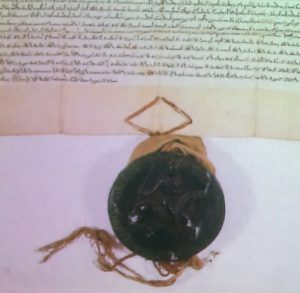 Those leading Henry’s minority government were prepared to consider the issue again and, in 1217, Magna Carta was reissued with a further charter, one that dealt to a degree with forest matters, including the means whereby the area of royal forest could be reduced considerably. 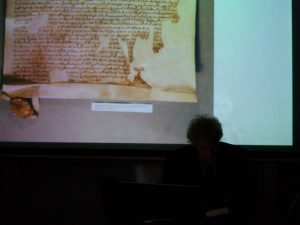 David points out the first use of the term ‘magna carta’. This Carter of the Forest had 17 chapters, and even though it is not as imposing a document in some ways as Magna Carta, what it covered was in some ways just as important, and certainly was for those caught under its jurisdiction. However, in its first incarnation matters were still contentious. Henry’s senior advisors were not keen to see a complete reversal, and thus ‘loss’ regarding all those areas added to the royal forest by Henry II, preferring instead to see this in terms of those extra areas added once the status quo had been reached concerning a return to the level of royal forest before King Stephen (when serious losses had occurred from a royal perspective). Nonetheless, in many counties juries of knights did take the opportunity presented by the charter to investigate forest boundaries preparatory to the removal of land from being under forest law, and, like many such movements, once started it was very difficult for the Crown to roll back the tide and retake the initiative. Not that this totally stopped first Henry’s advisors and then Henry himself once he reached his majority, but the reissued forest charters in 1225, (and 1227) did provide enough for the barons, as well as being sufficient of a compromise for Henry that the issue was not raised again in the 1260s under Simon de Montfort. Interestingly, among the clauses are those relating to the pardoning of all those convicted of forest offences, including outlaws up to the time of the charter, which presumably would have pleased ‘Robin Hood’. In addition, no one should lose life or limb if thereafter convicted of a forest offence, and dogs convicted of offences were to suffer less mutilation than before, a start, I suppose, for dog owners. It was also cheaper to transport produce through the royal forest whether by cart or by packhorse, albeit whether it was safer is not mentioned. There was also an acceptance that the wooded area would shrink because pasturing of animals was now allowed, fishponds could be created, mills might be built and assarting was no longer banned. Of course, this only applied to freemen and the majority of the population – the servile peasantry, was no better placed than before regarding these privileges, but it may be seen as a move in the right direction. David highlights the importance of The Charter of the Forest. However, what it did not do was protect the woodland per se, if anything the opposite in that it allowed, even if not actually encouraged, the conversion from trees to grass and corn. Therefore, as David pointed out, the linking of the Charter of the Forest to the new Tree Charter last week (this Tree Charter is the brainchild of The Woodland Trust) is somewhat problematic. Yet, it does put trees and woodland in the spotlight which cannot be other than a good thing, as well as highlighting the importance of having a thriving forest sector in the nation’s economy and that access to trees for everyone is a welcome commitment. On that potentially positive note I’ll end the blog this week, and just to say next week looks to be as busy!